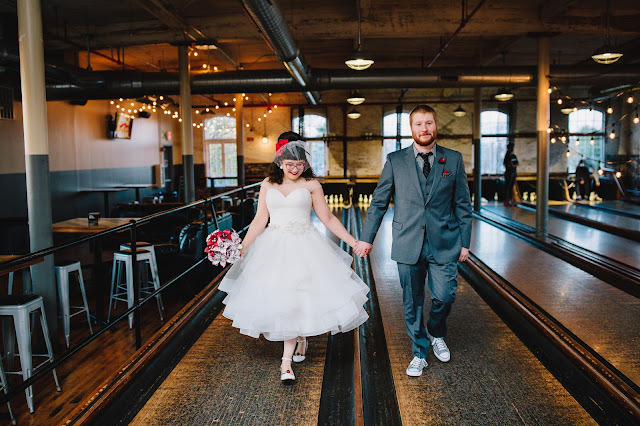 If you've seen any of my previous blog posts or follow me on Instagram, you'd know that I love all things retro, vibrant, vintage, funky, quirky, feminine, and novelty print. I wouldn't say I am a total vintage lass or pinup baberoni but I'm definitely not a totally modern gal either. I'd like to think I combine the above to some sort of retro/contemporary style. I love finding true vintage items and pretending I'm in a different decade, but even just ONE item that has vintage touches to it works for me. I just like unique items - a dress covered in cheeseburgers (someone design this STAT), a sweater with big cartoon buttons, shoes made to look like ice cream cones, shirts with a big bow on the collar, big voluminous skirts that will fit a petticoat underneath, you get the picture. With all this in mind, it can be a lot of fun to mix it all together. Throw in something old and throw in something new! 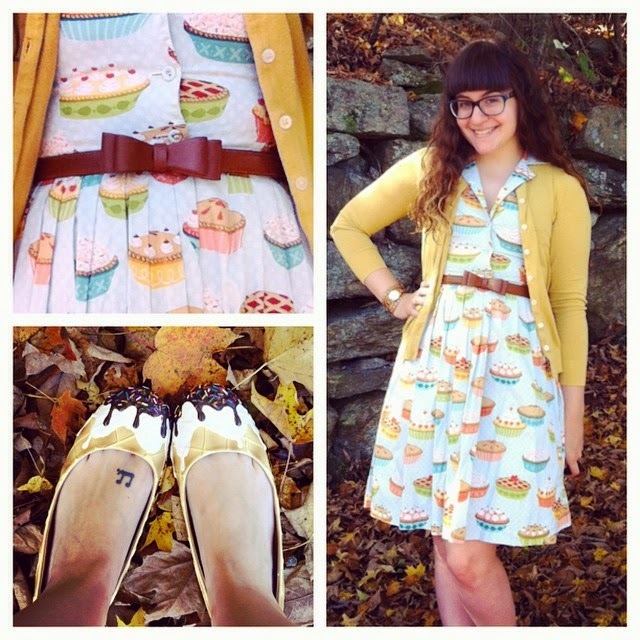 It's like baking - only with your wardrobe! I have collected quite a few old concert tees over the years. Real, vintage, falling apart tees taken out of my parents' attic - thanks for being slightly hoarder-ific, mom and pops! My dad was a scrawny thing when he was a young adult (thankfully for me!) and his old shirts fit me perfectly (I also have his old leather jacket!). I am pretty much my mother when she was my age (this becomes more true everyday!!) so hers fit me quite well also! I love throwing on one of these tees on the weekend with jeans and sneakers but the BEST is when I wear one of my tees and I style it with one of my louder skirts (with a petticoat, of course). Talk about a killer combo! 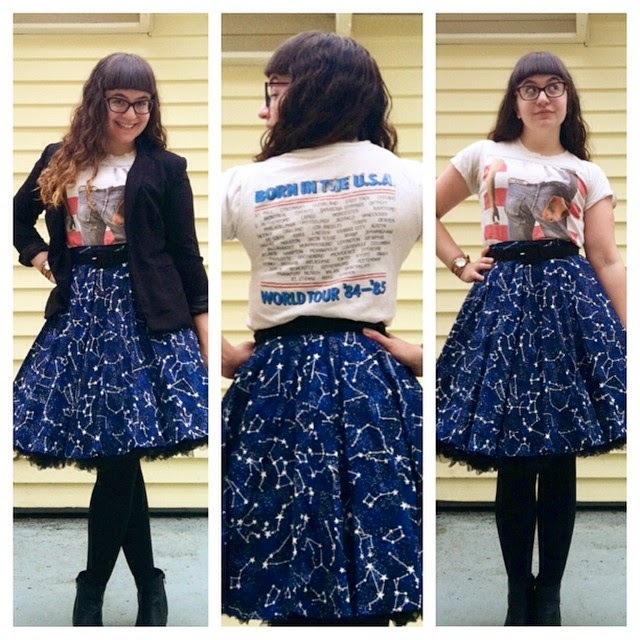 My mom's concert tee paired with my constellation skirt from Unique Vintage make a stellar combo! Another combo that involves Bruce! 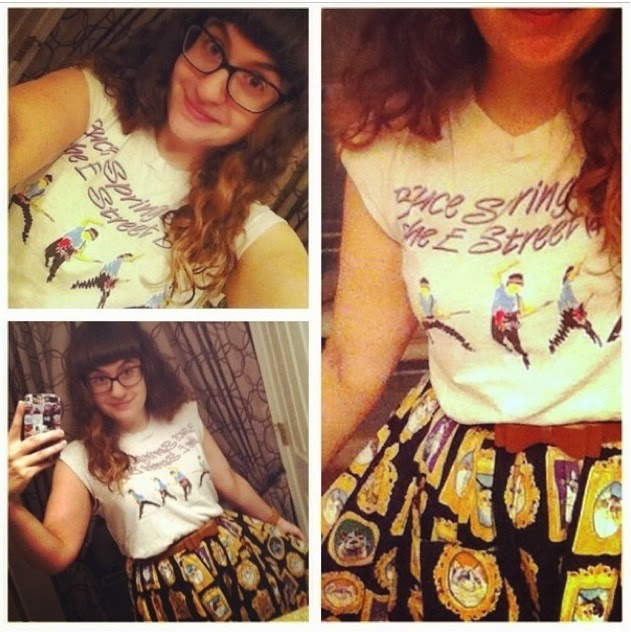 This time, my dad's Springsteen tee + my ModCloth cat skirt = heaven! Sometimes you don't need a huge contrast. Something smaller that is fun to pull off is pairing vintage jewelry with a more modern outfit. Whether it's a brooch out of your grandmother's collection, a classic pearl necklace, or a vintage hat/scarf/you name it - you can throw it on with something new and totally play up both styles. Why the heck not? On the left, I'm in a totally contemporary look but the dragonfly was my mother's! 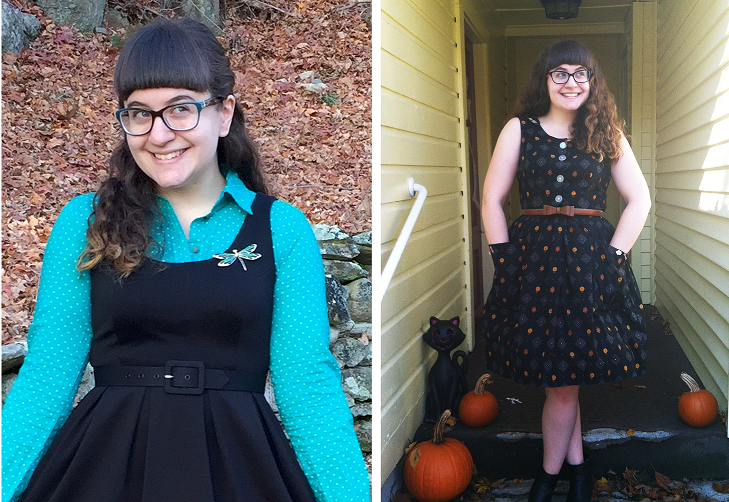 On the right, I paired this awesome fall vintage dress with a modern leather bow belt, leather booties, and I added adorable breakfast food themed buttons on the pockets and collar! It can be a lot of fun mixing and matching items that are both old and new. Often, its these details that make an outfit pop. 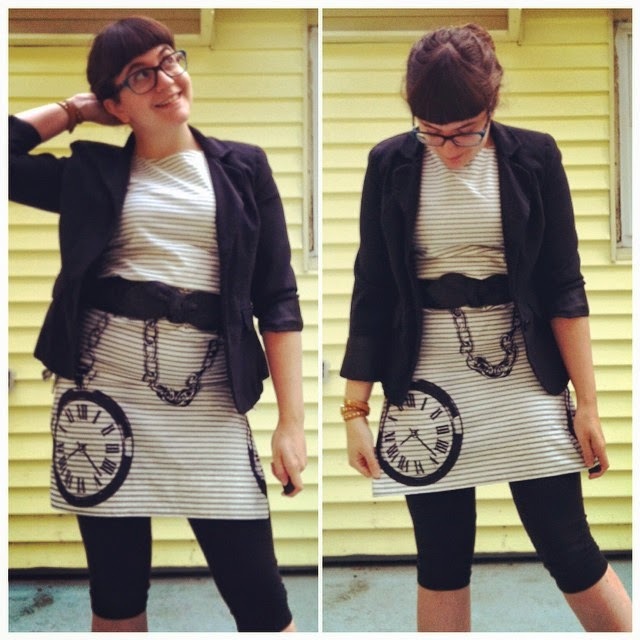 I love reviving outfits I've worn previously by adding these older pieces. Or reviving a vintage outfit by adding a brand new pair of boots or necklace. You'd be surprised what the smallest change/improvement/variation can do! It can turn an outfit completely around. How you mix and match is really up to you - the possibilities are, well, pretty darn endless! Found this shift dress at the Brimfield Show Antique Fair! It fits me awkwardly so I just threw on a modern blazer, leggings, and belt! The Most ~Perfetto~ Italian Christmas Dress! Memories in the Palm of Your Hand: Casetify! Sara the Snowman Had a Very Jolly Soul!